When it comes to seeking thrills in a limited amount of time, one cannot go wrong with amusement parks. They are an out-of-the-world and a wholly immersive experience. A sheer delight for the senses, and the fastest way to shake us out of our jaded routines. And no, they aren’t just for cheap thrills or for those who have never set foot outside their state. Amusement parks are a big draw all over the world. North Americans are blessed with a good number of excellent theme parks, but seasoned world travelers have plenty of great options too. In this post we bring to you the best, the most fun, and the most exciting amusement parks from around the world. We have chosen these purely based on their fun and diversity quotient (and kept the American entries to only two to keep the allegations of U.S.-centrism away!). To be completely honest, it’s hard not to go overboard when describing this park, especially if you love theme parks in general. Put simply, let’s just say there’s an endless number of things to do here. This park has got to be one of the safest bets in the world when it comes to having fun. There’s no way you or your kids wouldn’t love it. I have been there a few times, both as a kid and as an adult, and each time I loved it more than previously. Now I realize I may have teeny weeny bit of bias toward this resort, but in my defense there are plenty who would rate this park among the best in the world. This place has everything you could possibly think of and more. It’s like a smartphone that simply does not run out of features and apps, and has more of both than anybody would need or even conceive of. Particular enchanting is the aptly-named Magic Kingdom. Cruise down dangerous rivers, brave ghostly environs, and clash with rugged pirates. Watch your childhood fantasies and fairy tales come alive. Let go of all the pretenses and grin heartily like a child having the time of her life! Cedar Point has been named the world’s best amusement park for some time now, 16 years to be precise. If your children love fast rides and roller coasters, they will love this park. For you not to get bored, there are many shopping options and other things to do but make no mistake, this park is first and foremost about roller coasters. So hold on tight as you experience the most dizzying rides of your life! For those who want to go beyond seeking thrills from extreme roller coasters and water rides, Europa Park is a good choice. The park is easily accessible from anywhere in Europe, so if you are in the area, you might want to check it out. Europa, as the name suggests, is a representation of Europe, modern and ancient, which those interested in the continent will love being a part of. A trip to this park could be both entertaining as well as educational. The park is organized along the lines of 15 European countries, with each country representing its own theme. Germany is about the Berlin Wall and German architecture, while Greece is represented by the ancient Greek markets (and more). Watch the Vikings, King Arthur, and Rapunzel come alive in the Enchanted Forest as you glide through noisy waters in jungle rafts. Another Disney entry on this short list, but we assure you there won’t be anymore. If you think Disney is big in America, think again. The Japanese probably put Americans’ love of theme parks to shame. The Disney Sea attracts 17 million tourists per day (according to data compiled in 2001 – a bit dated, but gives you an idea), the highest for any theme park in the world. 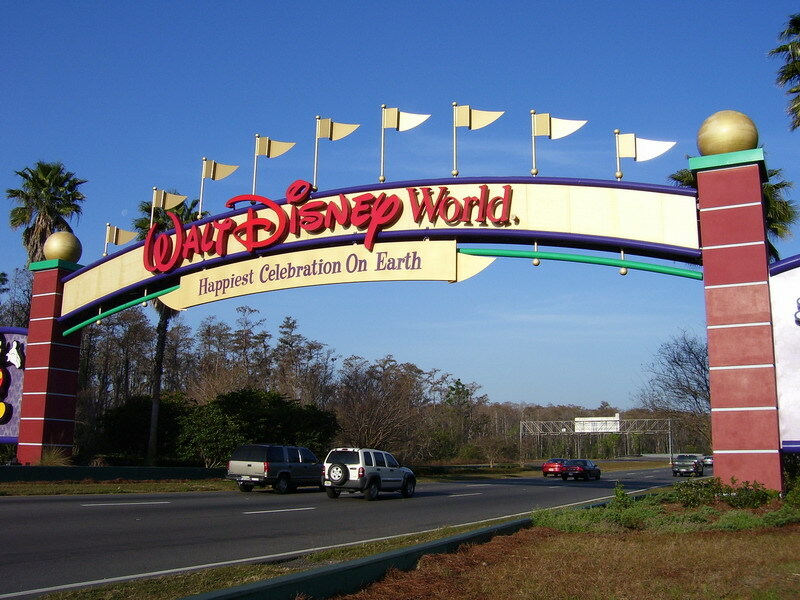 That was also the year in which it opened, which means the park was an instant hit. If you visited this place, you would know why. Simply put, it’s beautiful, picturesque, delightful, outstanding, and unforgettable. That’s why. Pestering kids may take you there but once you visit this place you’ll be a convert. This place is as much fun for adults as it is for kids, and I have seen amusement park-haters change their stance after one visit to Disney Sea. Water lovers, you are in for a ride of your life. The nautically-themed park (it contains seven ‘ports of call’) makes one imagine themselves to be a modern day Columbus, an ambitious and intrepid traveler set out to discover new things beyond the endless blue. And in that journey, what demons may come! Do you want to fight pirates or unearth treasures? The choice is yours! Attracting more than 6 million tourists each year, Everland is the 13th most popular amusement park in the world. It finds a mention here because of its unusual theme. This park isn’t just for kids, it’s for adults too, especially those who love gardens and animals. The most intriguing feature of Everland is the 15-minute African safari that brings in one place all the big carnivores and herbivores of African plains – lions, hyenas, elephants, zebras, and hippos. (One also gets to see tigers and ligers from up close, though they are not African. But hey, we are not complaining!) Everland strikes a good balance between relaxation and fun. There’s also a Buddhist temple in it, if you get sick of the continuous highs and lows from the rides. It is extremely pretty, well-designed, and also very reasonably priced. Consider this park for a proper day out with your family. Lori Wagoner has been working as a freelance writer for a long time. She loves to travel different places and likes to share her experiences with people to give them an idea about the best destinations and deals. She recommends buying flight tickets from Flight Network to get the best deals.